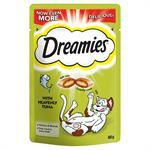 Cats dream about the little crunchy squares filled with a delicious soft centre. 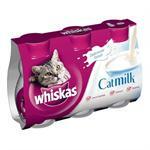 Shake pouch and watch your cat come running! Soft inside Crunchy outside. 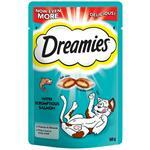 Cats dream about the little crunchy squares filled with a delicious soft centre. 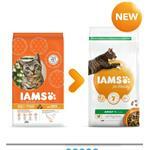 Shake pouch and watch your cat come running! 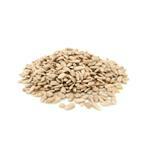 Soft inside Crunchy outside. 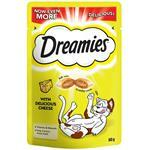 Cats dream about the little crunchy squares filled with a delicious soft centre. 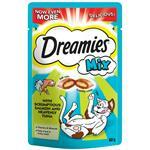 Shake the pouch and watch your cat come running! 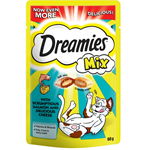 Cats dream about the little crunchy squares filled with a delicious soft centre.....and what's even better is there are only 2 calories in every treat! 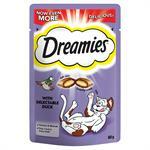 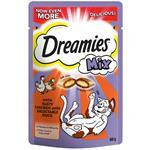 Most cats can't mix their own tunes, but you can give yours a tongue tingling mix of delicious Dreamies® varieties. Cats dream about the little crunchy squares filled with a delicious soft centre...... and what's even better is there are only 2 calories in every treat!